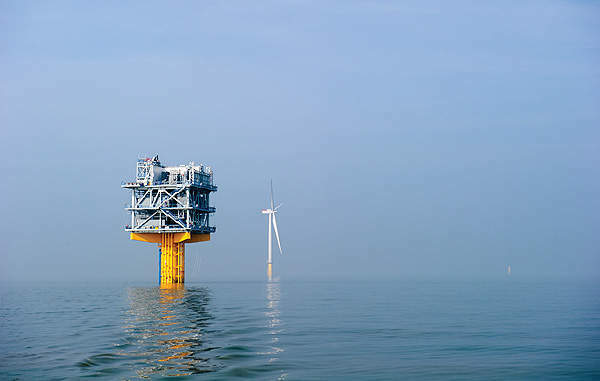 The London Array offshore wind farm is located in the outer Thames Estuary. Image courtesy of London Array Limited. The first foundation of the wind farm being laid. Image courtesy of London Array Limited. The monopoles being unloaded at the site. Image courtesy of London Array Limited. 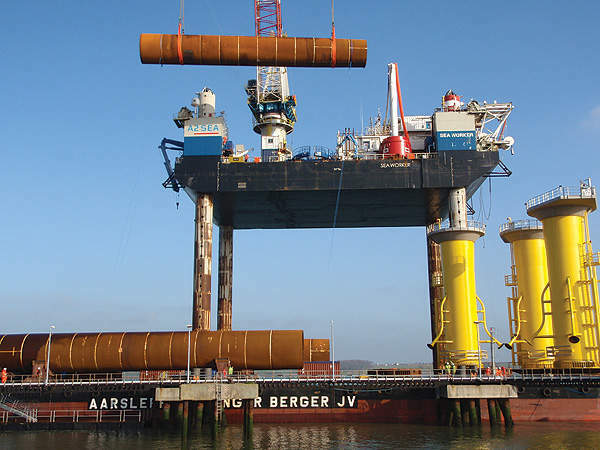 Aarsleff/Bilfinger Berger joint venture fabricated and installed the steel monopole foundations for the London Array offshore wind farm. Image courtesy of London Array Limited. 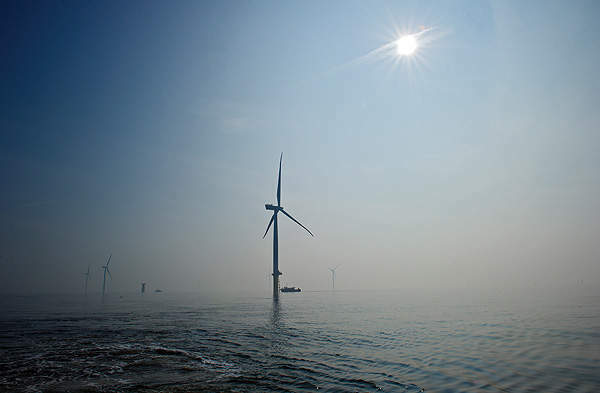 The first phase of the London Array offshore wind farm consists of 175 Siemens turbines. Image courtesy of London Array Limited. The wind farm is expected to produce first power in the last quarter of 2012. Image courtesy of London Array Limited. An onshore substation was built at Cleve Hill near Graveney to feed the power generated by the wind farm to the national grid. Image courtesy of London Array Limited. 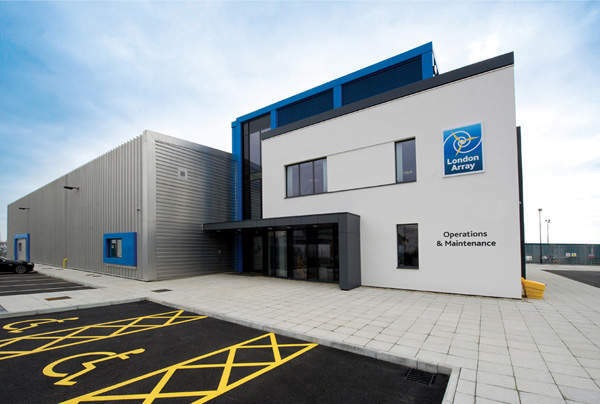 The operations and maintenance building for the London Array offshore wind farm. Image courtesy of London Array Limited. London Array offshore wind farm was conceived to be the world’s largest wind farm when its construction was undertaken in 2009. The wind farm is located off the coasts of Kent and Essex in the outer Thames Estuary. The array of turbines will be located between the Long Sand and Deep Knock sandbanks. 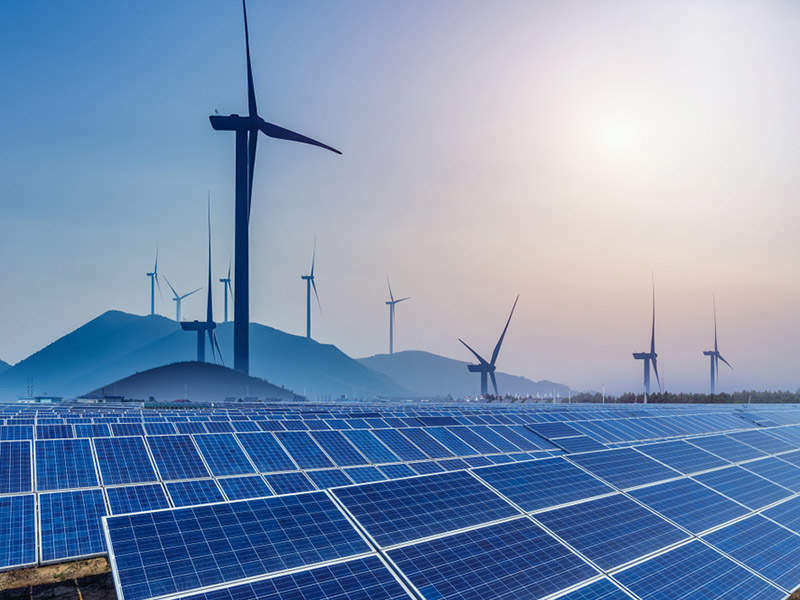 The £3bn ($4.6m) project is being developed in two phases by London Array, a consortium of E.ON, Dong Energy and Masdar Power. Shell Wind Energy was a partner in the consortium until July 2008, but Masdar replaced Shell that year with a 20% stake. Dong Energy has the majority stake of 50% in the project. E.ON owns the remaining 30% stake. The wind farm will have an installed capacity of 1,000MW, which will be sufficient to power 750,000 homes. The first phase of 630MW will be connected to the grid by the end of 2012. The project will help the UK Government to achieve its 15.4% renewable energy production target by 2015. It will also result in savings of about 1.9 million tons of carbon-dioxide a year. "The European Investment Bank (EIB) provided funding for the project to move it forward. It sanctioned a £250m ($384m) loan for the project in June 2010." 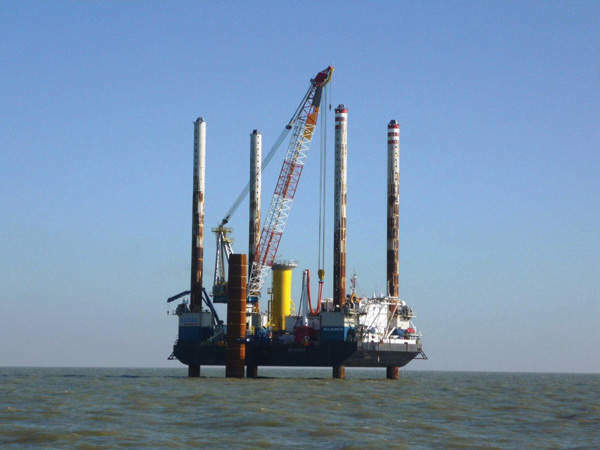 The site was selected for its high wind speeds, low water depth and suitable ground conditions for installing the offshore and onshore infrastructure. The wind farm will include about 277 turbines of Siemens SWT-3.6 make. Phase one will include 175 turbines. The turbines, rated at 3.6MW each, will sit on monopile foundations of 4.7-5.7m in diameter. The entire array will be spread over about 245 square kilometres. The three-bladed turbines will have a hub rising 80m to 90m above sea level. The entire turbine assembly, including the hub, will be up to 175m high. The tip of the blade will be at least 22m above the sea level. The turbines will start operating automatically when the wind speed is three metres a second or more and attain maximum power output when the speed reaches 13m/s. The turbines will automatically stop when the wind speed exceeds 25m/s. Subsea cables of approximately 200km in length will connect the turbines with two offshore substations. The substations will step up the voltage and transmit the power to shore through six export cables. 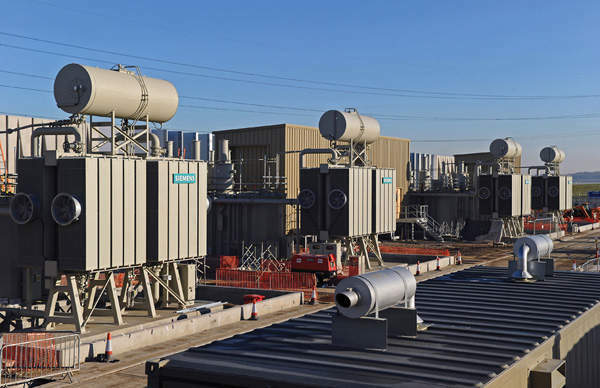 A new onshore substation built at Cleve Hill near Graveney will feed the power to the national grid via 400kV transmission lines. Environmental studies on the project began in 2001. Applications for planning consents and licences for the project were submitted in June 2005. Construction on the onshore infrastructure commenced in July 2009. Offshore construction began in 2011, with 26 turbines installed as of May 2012. The consortium plans to achieve first power from the wind farm in the last quarter of 2012. The major contracts for phase one of the wind farm were announced in December 2009. Siemens was the supplier of the wind turbines for the first phase. It is also responsible for the supply of instrumentation and control equipment. "The project will help the UK Government to achieve its 15.4% renewable energy production target by 2015." MPI and A2SEA were contracted to supply marine crew and offshore vessels to carry out the offshore installations for the project. Installation of cables, foundations and turbines is being carried out by MPI Adventure, an offshore vessel owned by MPI. 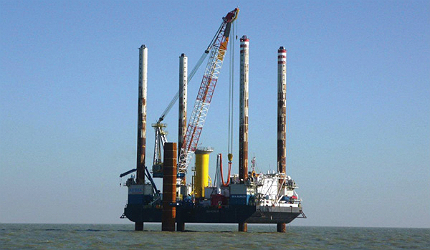 A2SEA’s jack-up barge Sea Worker is also being used for the monopile and wind turbine installations. The contract to fabricate and install the steel foundations was awarded to the Aarsleff / Bilfinger Berger joint venture (ABJV). ABJV subcontracted a joint venture of COWI and IMS to provide detailed design for the foundations. Nexans is supplying the power cables under a €100m ($124m) contract. 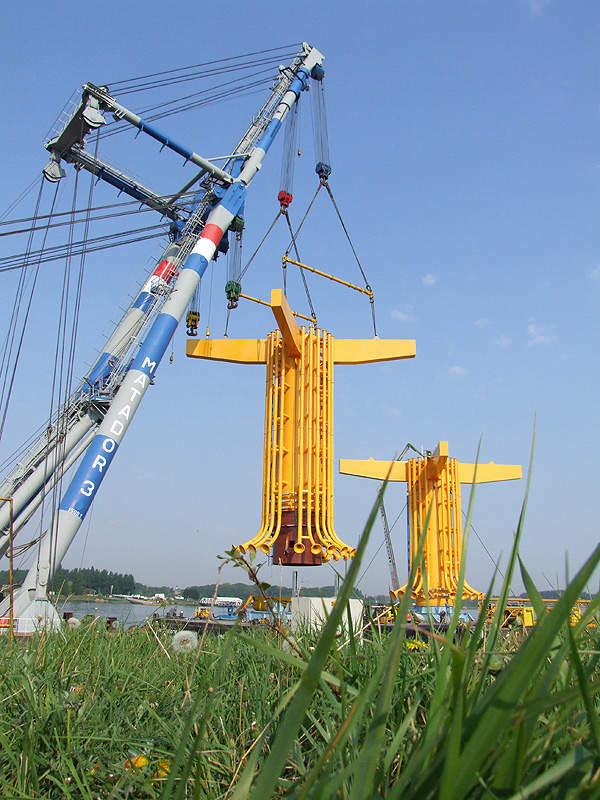 JDR Cable Systems was awarded a contract to design the 33kV subsea cable system to connect the turbine generators with the offshore substations. 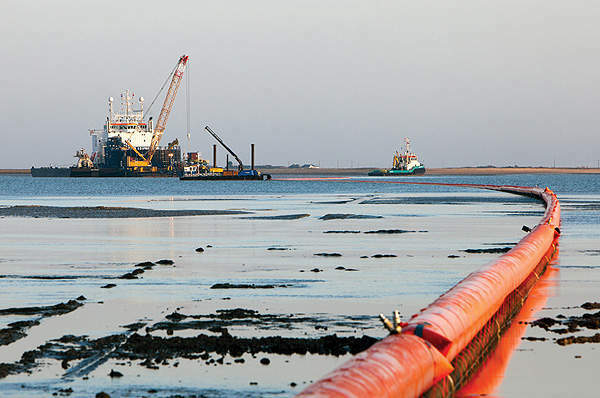 Shell Energy’s withdrawal from the project created a temporary cash crunch. The European Investment Bank (EIB), however, provided funding for the project to move it forward. It sanctioned a £250m ($384m) loan for the project in June 2010. Maritime Support develops project specific procedures, dynamic positioning (DP) operation manuals and operational activity planning to increase the efficiency, accuracy and safety of marine operations.